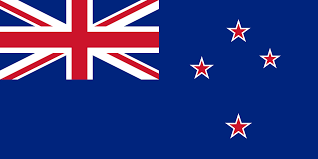 New Zealand has had a club and competitive scene since the late 1970s, under the auspices of the New Zealand Association of Scrabble Players (NZASPA). Currently we number around 340 registered players, of whom about half play tournaments regularly. New Zealanders – or Kiwis, as we are affectionately known – can play up to 20 rated tournaments a year, run mostly by clubs. We have two ‘majors’: the National Championship, which is open and played in grades; and the NZ Masters, a full round robin for the top 24 players. New Zealand was avowedly ‘double-dictionary’ from the start — long before WESPA united the world of Scrabble under Collins. We also used to operate a double-challenge rule (like North America), but eventually changed to a five-point penalty to align with international practice. 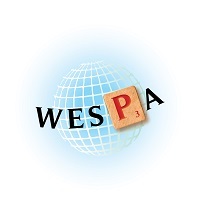 In fact, most of our rules are WESPA-aligned these days. For many years, we have promoted ourselves via a website (www.scrabble.org.nz) and Forwords, a quarterly printed (now also email) newsletter. To date, our major gap is not having run an international tournament (other than the Trans-Tasman tests). This is something we will rectify in November this year, when we host the fifth World Seniors Championship in Christchurch. We hope many older players from around the world will visit our country, to sample our great hospitality, fine wine and food, and amazing tourist attractions. And, of course, to play three days of high-quality Scrabble. (Find out more about this opportunity here. Several well-performed players have been raised in the Kiwi talent hothouse. There is the ‘legend’ Jeff Grant, winner of 26 New Zealand majors, who also competed in the first 10 World Champs events in a row (with a best finish of third). Blue Thorogood, Mike Sigley, Kendall Boyd, Peter Sinton and Howard Warner have all performed highly at WSC at various times. Australian resident but loyal NZ rep Joanne Craig has been consistently one of the top woman players in the world. (Young up-and-comer Lyres Freeth is right on her heels – watch this space!). And Lewis Hawkins, the 12-year-old ‘veteran’, has already scooped several world age-group titles. There are also the imports and exports. This year the NZ Scrabble scene has been enlivened by the arrival of Alastair Richards. As a frequent Australian No 1 and WESPA top 20 player, Alastair is already raising the bar for our home-grown competitors. And you may know of another fine Scrabble-playing Kiwi, one Nigel Richards (no relation to Alastair). Unfortunately, we only had the benefit of his presence in New Zealand for a few years before he headed to the bright lights of Kuala Lumpur. Since then, he has had a measure of success, we gather. Unlike some other up-and-coming Scrabble-playing countries, we are very light on juniors. A privately run youth programme in the southern city of Dunedin has unearthed a few competitive gems. We would love to spread the message to schools around the country, but that is very difficult to get off the ground with no public-sector or corporate support. Highest single turn: 302, Lynne Butler. Sure, Scrabble in other countries may have a bigger player base, a higher profile or better resources. But we’re happy with what we’ve achieved. And if you ‘oldies’ out there can help us make our World Seniors event a raging success, that’ll be the icing on the cake.